I have always loved crafty, DIY, made with love type projects, but over the last few years this area of my life has multiplied drastically! I love that it has too!!!!! I so enjoy when someone takes a piece of furniture that you can tell has already been well loved and very used and remakes it into something new and gorgeous again in a totally different way! The piece just keeps giving and allows another person to love it until it looks well loved for many years all over again. These type of projects are so budget friendly too of which I am also a huge fan. You can yard sale shop, estate sale shop, etcetera and find pieces for no real expense and just end up with a total gem! Love it! I’ve found some great blogs and websites for some really neat remakes of furniture lately and just wanted to share! The Farmhouse Porch shows a total room makeover that is really neat and budget friendly which is wonderful! 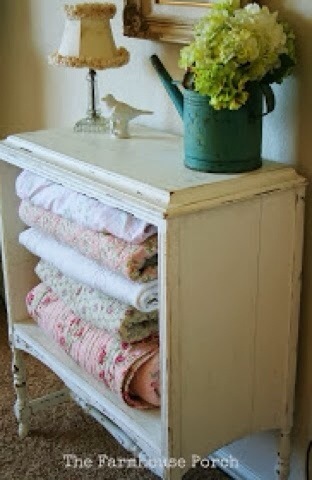 My favorite piece was the dresser that was turned into a blanket hutch! Love it so much that I definitely will be adding this piece to my home as well. It’s just such a charming remake of a small dresser. I fell in love with it. Hope you enjoy as well! 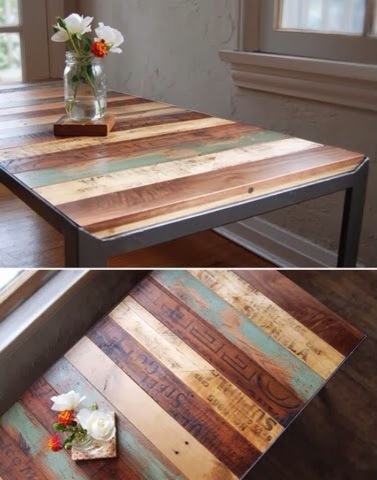 Home Craft Pins shows a wonderful total transformation of pallet wood into a beautiful table. Unfortunately the site was temporarily down when I last clicked the referenced link, but I wanted to be sure the link was noted. Hopefully it will be back in working order soon. Just beautiful! Very budget friendly as well! This last piece found on PlumDoodles.com is more about the small details to me that can be added to really make a piece just perfect! 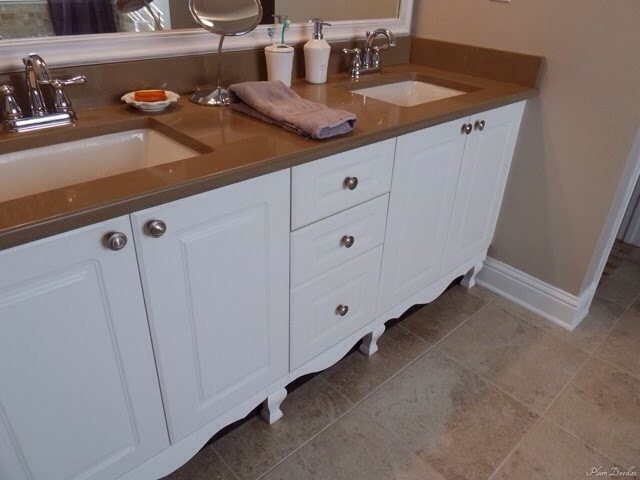 They added some molding and legs to the bottoms of their bathroom cabinetry in addition to other things and the piece just completely changes! Beautiful! Link posted below picture as well. Thanks for reading! I hope you enjoyed these links as much as I did!! Next Post Improving your Credit Score !